Cole suffered a traumatic brain injury when he was just seven weeks old, and a job seemed like a distant dream. 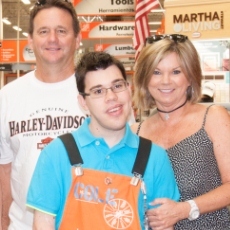 But Cole craved community involvement, so he looked to Easter Seals North Texas for help. At work, it’s what people CAN do that matters. Let’s change the statistics and the stereotypes. 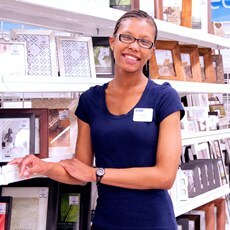 Read how a Ross Assistant Manager saw beyond Destiny's limitations. Through its North Texas Travels initiative, Easter Seals North Texas teaches Veterans, individuals with disabilities, their advocates and peers how to safely and confidently utilize public transportation. With North Texas Travels, traveling independently is now possible. Our Mobility 101/102 courses provide invaluable information on transportation options in your service area that are helpful when working with older adults and individuals with disabilities. A peer-to-peer travel support program for Veterans in which volunteer Veterans are trained to serve as travel ambassadors to other Veterans. North Texas Travels is funded with TxDot & New Freedom funds provided by the North Central Texas Council of Governments.